The Mayo Clinic describes Second Impact Syndrome (SIS) as a complication arising from a concussion. It occurs when someone experiences a second concussion prior to fully recovering from the initial one. With SIS, "typically fatal brain swelling" occurs. R.C. Schneider first described this condition in 1973, but it wasn't until 1984 that someone gave it the name, "second impact syndrome". The condition is rare enough that only 21 cases had been cited in the literature up until 2003. When a concussion takes place, the levels of various chemicals in the brain are changed. This altered state is believed to contribute to a person's susceptibility to second impact syndrome. Because it normally takes approximately one week for the chemical levels in the brain to return to normal after a concussion, the patient should wait at least this long before returning to any activity that might result in another concussion. But one week is a minimum. The time it takes to recovery fully from a concussion is highly variable and depends on both the nature of the injury and the patient involved. For this reason, it is vitally important that athletes not return to sports while symptoms of a concussion persist and that they receive clearance from an appropriately trained healthcare professional before resuming any sort of risky activity. NHL star Sidney Crosby learned a lot about concussions first-hand. 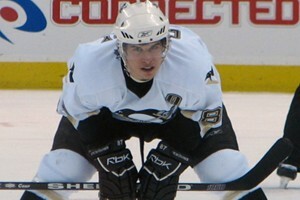 While playing with the Pittsburgh Penguins in January 2011, he received a concussion. He suffered from a second one only four days later. It took him 11 months to fully recover. Crosby said, "With concussions there is not generally a time frame or a span where you're feeling better. You feel like you're getting better and it can be one day and you're back to where you started. It's a frustrating injury." It wasn't until he was treated by chiropractic clinical neurologist, Ted Carrick, DC, that Crosby recovered from all his symptoms. Even the mildest of concussions can lead to second impact syndrome, because it's not the strength of the impact that is the greatest danger. An impact of any force while the brain is still recovering can result in the catastrophic swelling attributed to the syndrome. Most cases attributed to SIS occur in those who are not yet fully grown. Children and adolescents are thought to be the most susceptible with adolescent athletes at greatest risk for second impact syndrome. It's difficult to argue against prevention and an abundance of caution given the potential dangers associated with concussions (and multiple concussions). If you're an athlete, the first step is to wear appropriate safety equipment for the sport you're playing. For certain activities (such as football, baseball and cycling), a helmet is essential. On-field awareness and proper technique can also go a long way toward preventing head injuries. However, it's important for players, parents and coaches to recognize that even helmets, good supervision and expert training are no guarantee against initial concussions. They are a risk that can be managed but never wholly eliminated. When it comes to preventing subsequent concussions, though, there are three additional steps many communities have taken to protect young athletes: Requiring responsible adults to receive concussion-awareness training so that they can recognize the signs of a potential concussion, Requiring officials, coaches and managers to remove injured players from the field when a concussion is suspected, Requiring the approval of an appropriately trained healthcare professional before allowing any athlete with a suspected/actual concussion to return to sports-related activities. If you are interested in living a healthier life or providing a healthier life for your child, give us a call at (303) 776-6767 to find out how chiropractic care can help!